Pittsburgh and the Big East conference announced last Wednesday that the school will pay $7.5 million to join Syracuse in leaving the Big East for the Atlantic Coast Conference on July 1, 2013. The Big East reached a similar deal with Syracuse earlier this week. 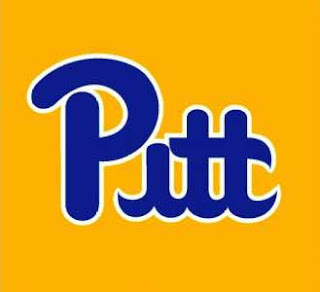 The agreement with Pitt includes the $5 million the school already paid after it announced it was switching leagues last September. It also puts an end to an acrimonious split between Big East and one of its longest standing members. ''We are anxious to compete in our final season in the Big East and look forward to an exciting future in the Atlantic Coast Conference,'' Pitt athletic director Steve Pederson said in a statement. ACC commissioner Jim Swofford said the conference has been ''preparing to welcome both teams'' for the past year. He'll only have to wait 11 more months to unveil an expanded 14-team league that will include five former Big East members. Miami and Virginia Tech left the Big East after the 2003-04 academic year and Boston College followed a year later. The ACC will go to a nine-game conference schedule in football when Pitt and Syracuse join and every school will play in both the men's and women's conference basketball tournaments.